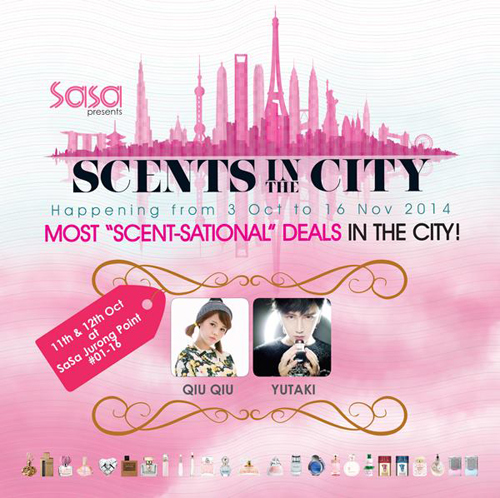 SASA’s <Scents In The City> fragrance fair at Jurong Point! skin care shopping place, where i could find all the awesome products! since i was 14, all the way until now, it was always from SASA! perfume 1st! she won and she sold 5 bottles so quickly! come down and see us in person and greet us! here’s with the awesome emcee of the day! super friendly and funny! Here’s with the super easy to work representative from team SASA! do it and i really super love qiu’s signature! there’s a heart!!! i love all signatures with a heart actually!! The 2nd day start with another fellow Nuffnang blogger, Yina Goh!! but it was my 1st time officially working with Yina! very excited! how many photos we could gather! gucci perfume more than u do!!! thank you for the constant support!!! If u wanna get perfume for yourself or your love ones, please go down to any of the SASA stores! there’s 20% off 23 participating fragrances, and 10% off the other fragrances in stores. 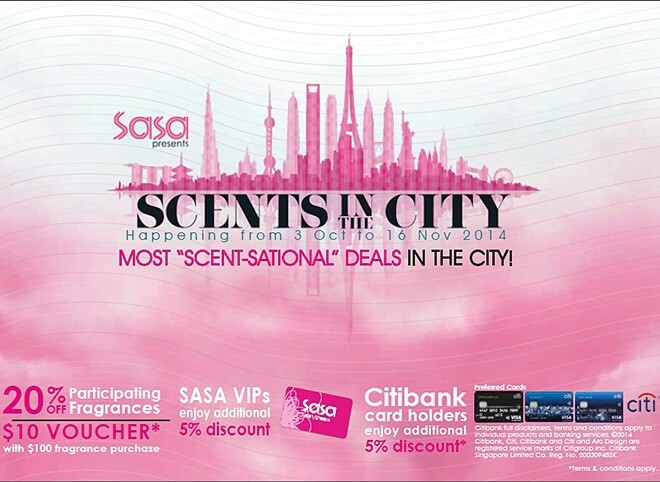 SASA VIPs or Citibank cardholders can enjoy additional 5% discount on storewide fragrances. Shoppers will receive a $10 Voucher* with nett purchase of $100 worth of fragrances. *Valid for next storewide purchase of $50. Terms and conditions apply. many more! go down to town and support her and meet her in person! holiday? not much, but work while i still could! ciao!!! China block almost everything i used, including instagram… but..
GOOD NEWS! DAYRE IS NOT BLOCKED!!!! See you guys on dayre!!! Proudly presenting my advertorial for the OPPO N1 mini! half a year since my last photobook concept advertorial!! And I am BACK!!! I am back and actively taking up adverts! concept advertorial photobook, it’s also taken in Perth Australia! and rushing here and there, I still pretty much enjoyed Perth. It was a really good place to take pictures! the main topic of post… The magic OPPO N1 mini. the 1st thing that came out from my mouth..
really really good on the phone screen! that it was the really the best selfie smart phone that I ever tried. I picked the White one! the Mint one is so chio!! Sophie picked that! long time… Finally this phone had arrived… The OPPO N1 MINI! cameras are to take selfies, so the front camera is just as important! and brightness of the selfies are just… MAJOR HEART! indie Superphone! I swear i wasn’t over selling about this phone. app to capture pretty selfies of myself anymore It’s instant! It’s built in!! And of cos if prefer normal selfies, u could turn this option off! jumping from one app to another! How awesome is this! LED flash on all the time make focusing on the subjects so much easier! What are waiting for selfies lovers!!!? your mobile phone… BUT.. they are selfies taken with front cameras! Did you guys notice something in this mini concept advertorial photobook?? felt naked after showing my freckles to you guys… lol. a organizer to keep track of the meetings and all. post, i am always saying how busy i am, and needed a break. ciao, till the next update!